VATICAN CITY (CNS) — Opening one’s heart to God’s forgiveness means also being willing to forgive others, Pope Francis said. 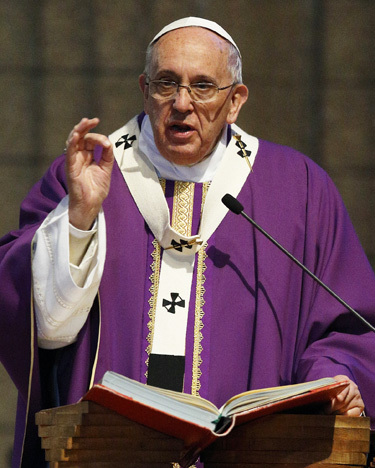 “If I am not capable of forgiving, I’m not capable of being forgiven,” he said March 10 in the homily at his early morning Mass in the Domus Sanctae Marthae where he lives. The day’s Gospel reading, Mt. 18:21-35, begins with Jesus telling his disciples they must forgive others “77 times,” which means “always,” the pope said. While God is all powerful, he explained, God stops at the “closed door” of a heart not truly interested in forgiveness.